This book takes a unique approach to the examination of the eating disorder, anorexia nervosa (and bulimia). White, middle-class, heterosexual women share their insights into the emergence of their illnesses through detailed interviews that consider perceptions of the role of family, the influence of cultural messages regarding thinness and beauty, the agency these women exert in the use of weight control to cope with life’s stressors, the meaning they attach to their eating disorders and how these issues together perpetuate their disease. The book uses a Symbolic Interactionist framework and a grounded theory approach to examine the narratives which emerge from these women’s stories. 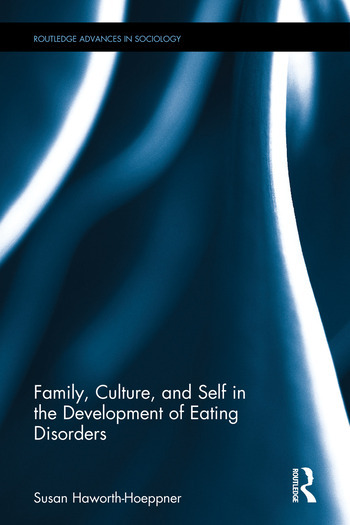 Themes of family, culture, and self arise in their narratives; these form the theoretical underpinnings for this book, and combine to shape the comprehensive model of eating disorders that emerges from this study. Haworth-Hoeppner’s book will appeal to researchers and advanced students of sociology, women’s studies, family studies, social psychology, and gender studies. Susan Haworth-Hoeppner is Professor and Chair of Sociology at Aquinas College, USA.